For the last Cooking for a Cause of the year, Yeshivah of Flatbush held a grand challah bake. 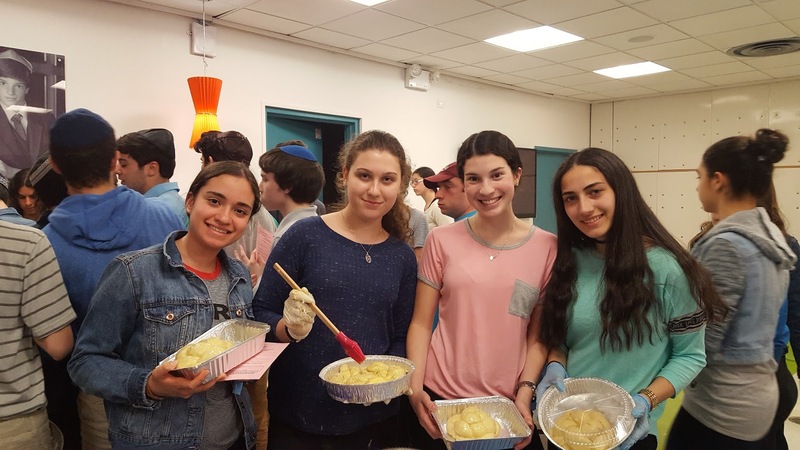 The event was sponsored by Cookie and David Fishel in honor of their daughter Katie's graduation as well as Renee Gindi in honor of Mrs. Shaindy Goldberg. 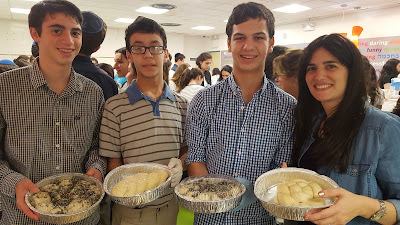 Mrs. Yvette Beyda and Mrs. Esther Paskie demonstrated to students how to do Hafrashat Challah and how to braid the challah. Mrs. Rochelle Dweck provided the recipes for the various toppings.